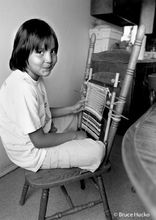 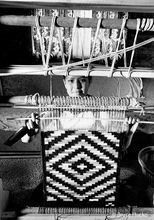 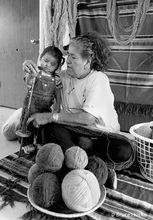 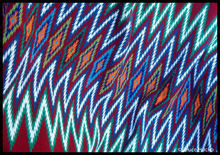 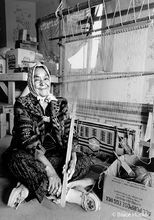 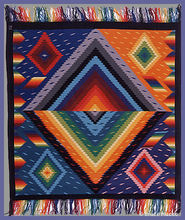 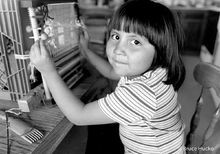 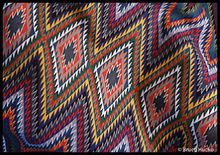 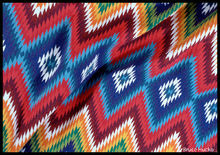 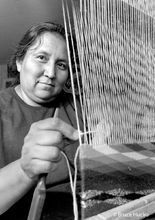 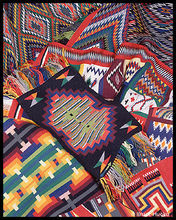 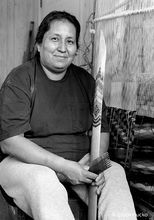 The Navajo weaving tradition is known the world over. 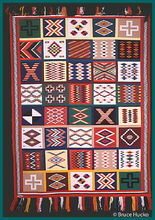 The styles are many and varied, and few hold the excitement for me as the Germantown Revival style which was fostered by Bruce Burnham, owner of Burnham Trading Company in Sanders, Az. 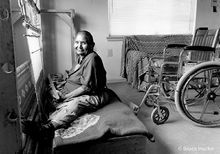 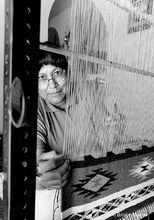 Inspired by the original Germantown style, which developed after the Navajo returned from being incarcerated at Fort Sumner from 1864-1868, contemporary weavers have revived the style with a creative flourish and abiding respect for the sacrifices made by their ancestors. 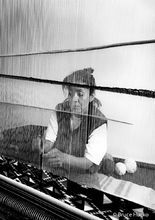 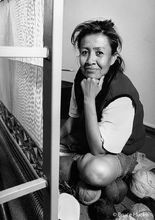 It was my job to make portraits of all the weavers for an exhibit that is now in the collection of the School of American Research. 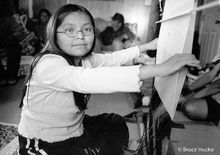 Original portraits were made on 120mm and 35mm film. 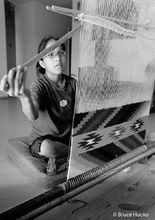 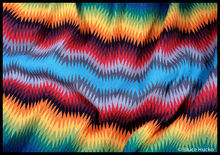 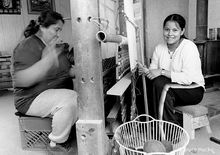 Images of the weavings were made on 120mm and 4x5 film.